ZURICH, April 27 (Reuters) - Richemont (CFR.VX), the world's second-largest luxury goods group behind LVMH (LVMH.PA), is cutting working hours at its main Cartier factory as the economic slowdown dampens demand for pricey timepieces. Employees in watch production at the top-end brand will work at 40 percent for a three-month period starting in May, a spokesman for Richemont said. "In this way, we can retain the staff and production flexibility whilst avoiding a build up of finished goods inventory. We do not want to lose any of our employees," he said. 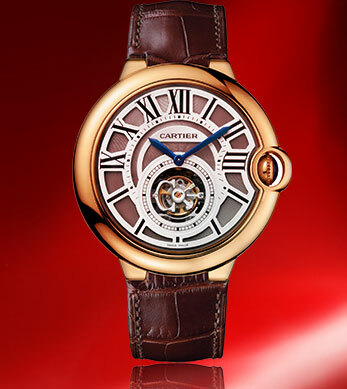 Cartier had already introduced shorter worker hours at its smallest factory in Switzerland earlier this year. Cartier has 1,100 employees in its watchmaking operations in Switzerland, spread over three sites at La Chaux-de-Fonds, Villars-sur-Glane and Meyrin, the Richemont spokesman said. Swiss newspaper L'Agefi reported around 500 employees would be affected. By 1131 GMT, shares in Richemont had fallen 4.3 percent to 20.28 Swiss francs, underperforming a 2 percent drop in the DJ personal and household goods index .SXQP. Demand for Swiss watches has tumbled in recent months as the economic crisis and looming job losses have made consumers reluctant to splash out on luxury treats.